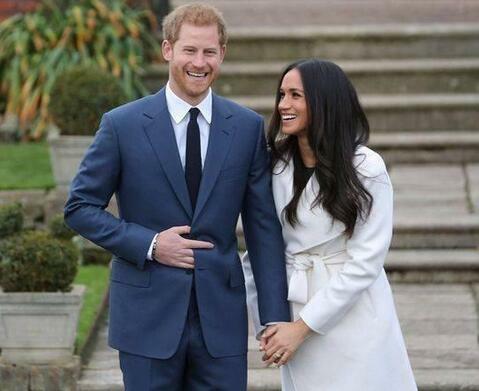 Britain's Prince Harry and American actress Meghan Markle are getting married. Harry's father, Prince Charles, made the announcement in a statement Monday. It read: "His Royal Highness The Prince of Wales is delighted to announce the engagement of Prince Harry to Ms. Meghan Markle." The statement said the wedding will take place next spring. It added that Harry, who is 33, and Markle, who is 36, became engaged in London earlier this month. Markle is best-known for her work in the television show Suits. She is also a Global Ambassador for World Vision Canada, which campaigns for better education, food and health care for children around the world. Along with her humanitarian work, she is known for campaigning for gender equality. Markle was married to film producer Trevor Engleson from 2011 to 2013. Markle's parents released a statement, saying "We are incredibly happy for Meghan and Harry. Our daughter has always been a kind and loving person. To see her union with Harry, who shares the same qualities, is a source of great joy for us as parents." Harry's brother, Prince William, and his wife Kate welcomed Markle to the royal family. They said in a statement, "We are very excited for Harry and Meghan. It has been wonderful getting to know Meghan and to see how happy she and Harry are together." Prince Harry will become the first member of the British royal family to marry an American actor. The prince and Markle briefly appeared before photographers Monday at Kensington Palace. Harry said he was "thrilled" and said details about how he asked Markle to marry him will come out later. When asked if the proposal was romantic, he answered, "of course it was!" Markle said she was "so happy" and wore her new engagement ring for the first time in public. The ring includes two diamonds that belonged to Harry's mother, Princess Diana, who died in 1997. Royal officials say Prince Harry designed the ring himself. The diamonds from his late mother's collection sit on either side of a diamond from Botswana. The prince has visited the African country many times, and has spent time there with Markle. The pictures belong to an era when there was a preoccupation with high society. 5.The statement said the wedding will take place next spring. 6.Markle said she was "so happy" and wore her new engagement ring for the first time in public.